When Snapchat came around, it instantly got popular among the users and in no time, it emerged to be to one of the greatest social media apps ever. With this app, various tools were discovered to hack Snapchat. One of them is Mobistealth. Here's how to hack someone's Snapchat using Mobistealth. As soon as Snapchat became a worldwide sensation, internet enthusiasts started looking for ways to develop tools that could hack the Snapchat hack. Many came up with different Snapchat hack solutions, however, none of them could successfully carry out the hack. In short, they were all good for nothing. 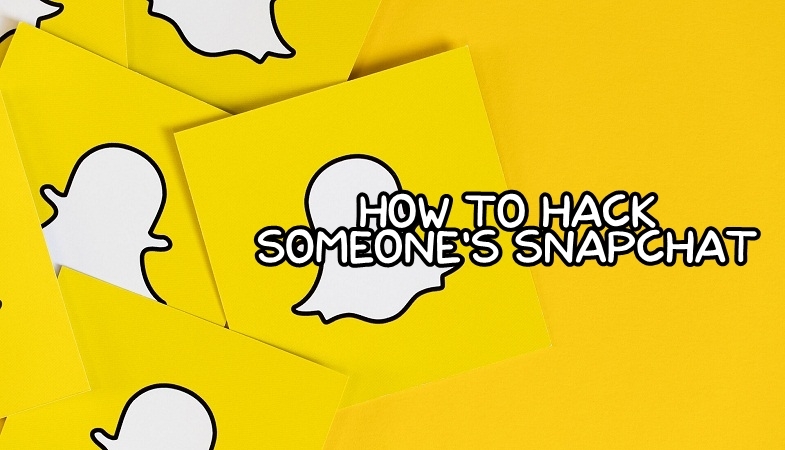 When you look up for Snapchat hack solutions on the internet, you will be amazed to find out how many online hack solutions have been developed to help you hack someone's Snapchat. Much to your dismay, they never work. For our own satisfaction, we did try these Snapchat hack tools to see if they work or not. While some of them took us to different links, asking us to download a particular program or an app in order to hack someone's Snapchat account, others urged us to fill out online surveys to confirm our human identity. These bogus Snapchat hack tools are really tricky. What they really do is, take your information by letting you fill out those online surveys and then send you malicious links on your email address. Some hackers can also retrieve your information to get into your system and hack all of your data. We would strongly advise you to stay away from visiting such websites. Instead, you should only use credible monitoring tools for Snapchat hack purposes. Mobistealth is one such authentic and reliable monitoring tool that makes your Snapchat hacking lot easier. Once this monitoring solution is deployed on someone's device, it doesn't allow them to even tamper with it. Mobistealth is not a complex monitoring solution at all. In fact, its user-friendly interface allows you to monitor your target's device quite effectively and easily. You need to download Mobistealth from their official website and then get it installed on your target's device. When the solution is successfully deployed on your target's device, it will start recording all the activity, including Snapchat, on the device and then transport the information to your Mobistealth online account from where you can remotely monitor the information. You can monitor all the messages, pictures and videos your target has shared with someone else on the Snapchat app easily. This monitoring solutions work stealthily and do not allow your target to tamper with it. Mobistealth has been acquired by thousands of parents and employers who want to keep a close on their children's or employers' device activity all day long. Hacking someone's social media activity is just one feature of Mobistealth. It comprises many interesting surveillance features that help you to record and monitor all your target's device activity. It also helps you track the location of your target as well as monitor their web browsing activity. All you need to do is visit the Mobistealth website, select the platform you want the monitoring solution to work on and start rolling. Copyright © 2019 Mobistealth.com | All rights reserved.